Ms. Bean joined Burton D. Morgan Foundation in 2014 as a Program Officer. Prior to her arrival, Ms. Bean worked as a community investment officer for Akron Community Foundation, where she managed the grant distribution process and served as the point of contact between the foundation and its current and potential grantees. 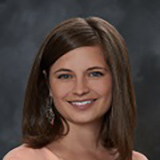 Emily received her Bachelor of Science in Human Development and Family Studies from Kent State University and earned a Master’s Degree in Human Development from Kent State University’s Graduate School of Education, Health, and Human Services. Melany Anastasia Castro is the Community Development Specialist at the Beachwood Place Microsoft Store. 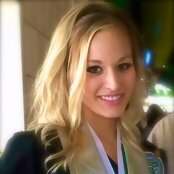 A recent graduate of Cleveland State University with degrees in Political Science and International Relations, Melany has brought her passion for technology with her throughout her career. After honing her skills selling and fixing computers, Melany now focuses on bringing Microsoft’s hardware and software to the Greater Cleveland area through extensive community outreach and programming. Altogether, Melany’s work with Microsoft has resulted in over 200 hours of volunteerism and has impacted countless Cleveland youth. In addition to her interest in technology, Melany has focused much of her time on Latin American studies and continues to take Spanish lessons on the weekends. 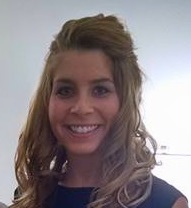 Jessica is an Academic Advisor in the College of Business at Cleveland State University. She received her undergraduate degree from Ohio Northern University and my graduate degree from Baldwin Wallace University. In her free time she likes to bake. William Holdipp Jr. is the Executive Director of the Consortium of African American Organizations (CAAO). William is a firm believer that everyone should have access to opportunities and the importance of reaching back to help others. He has dedicated his talents and training to helping others. Born and raised on the island of Bermuda, his passion for helping others came about in his early 20’s when he was volunteering for Amnesty International, a human rights organization. During this time, William had the opportunity to advocate for people around the world that were suffering from various human right violations. William eventually got more involved with Amnesty International when he joined the board of AI Bermuda. During this time, William got the opportunity to organize international campaigns for various countries including Cuba, China, Sierra Leone, and the United States. In his role as Interim Executive Director of CAAO, William oversees the various areas including marketing, fundraising, program development, recruiting of member organizations, HR management, and accounting for the organization. Among his notable accomplishments includes being part of an international selection committee to hire an Executive Director for the Caribbean region of Amnesty International, graduating from Bermuda College, founding member of the Tibet Interest Group of Bermuda, graduating from Cleveland Bridge Builders and Neighborhood Leadership Cleveland. William is also a published author with Smart Business Cleveland Magazine. 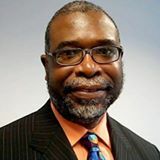 Mr. Holdipp currently serves on various committees in Cleveland which includes the Global Cleveland African American Committee (Vice Chair), Neighborhood Leadership Cleveland Alumni Committee (Co-Chair), and the Cleveland State Diversity Advisory Group. William is also a certified life coach working with people from the various neighborhoods in Cleveland. Jarryd Huntley, a Coding Bootcamp Instructor at We Can Code IT, is a Cleveland area technologist who has been working in IT for nearly a decade. After graduating with a degree in Computer Science from the University of Akron he has worked at a number of local enterprises, as well as startups. 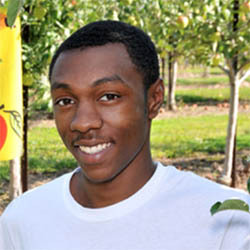 He enjoys volunteering at a number of local meetup groups and special events. 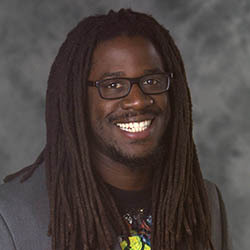 He also plays important roles in Cleveland’s growing game development scene as both an academic by teaching game development at Lorain County Community College and as an independent game developer through his newly formed game studio, currently working on Art Club Challenge. He had game development speaking engagements a number of at expos including GDEX and the IndieCade Festival. In addition he is co-authoring his first book, Game Programming for Artists, set to release in 2017. Lesley Koskey is an Academic Advisor in the Monte Ahuja College of Business at Cleveland State University. 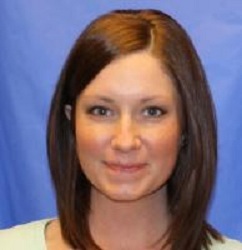 She has been with CSU since January 2013 and works mostly with accounting and finance students. She completed a Bachelor of Arts degree in Strategic Communication & Marketing at The Ohio State University and a Master of Education in Higher Education Administration at the University of Pittsburgh. Lesley loves working in education because no two days are ever alike and her students constantly inspire her to never stop learning! Mel’s knowledge of the IT industry and over 20 programming languages serves as a launchpad to motivate, mentor, and educate students in computer science and engineering. Her main objectives are to add fun & increase diversity in computer science. Her company, We Can Code IT, concentrates on motivating, mentoring, and educating those from low to moderate incomes in computer science and engineering. We Can Code IT’s progressive, collaborative coding boot camp approach trains adults to program and helps find them lucrative careers in IT in months, not years. Alex is an academic advisor in the Undergraduate Programs and Student Services office in the Monte Ahuja College of Business at Cleveland State University. 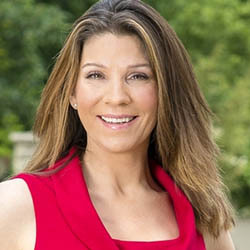 She earned her bachelor’s degree in Business Administration from Towson University in Baltimore, Maryland and earned her master’s degree in Higher Education from Kent State University. In her free time, she loves to play and coach softball. Anne Nelson is the assistant dean of undergraduate programs and student services of the Monte Ahuja College of Business at Cleveland State University. Nelson is responsible for developing and implementing strategies for generating and maintaining enrollment for all College undergraduate academic programs and working with faculty to enhance the business education curriculum; oversees the College’s undergraduate student engagement services from leading the Undergraduate Academic Advisement Office, to creating career development – exploration programs, and administering the College’s Scholarship Program and Petitions – Academic Standard Program. In addition, she supports and develops funding opportunities to enhance student engagement programs and scholarship needs. Currently, undergraduate enrollment has grown by 7 to 10 percent each year over the last three years. Created the Business Professional Mentorship Program (fall 2013) – won the President’s Excellence in Diversity Award. Redesigned the scholarship process and developed an entire online scholarship process with direct communication to applicants. *Process has now been adopted by three other Colleges at Cleveland State University due to the success of new process. Developed the first ever Business Internship and Co-Op Expo (fall 2014) – Over 30 employers attended and more than 350 students attended the program. In 2006, during Nelson’s time with the CSU First Year Experience Office she created the Focus Center, the first ever CSU academic support resource center designed to assist CSU first year students with the challenges that many college students face with the adjustment to college life. The success of the Focus Center lead to a newly created fulltime position of Coordinator for the Center and Anne served in this position from 2005 to 2007. Also, the Focus Center received the 2006 Innovative Higher Education Program Award from the Ohio College Personnel Association. Nelson started her career in higher education at John Carroll University and has served Cleveland State students since 2001. Nelson is active in professional associations related to student affairs, business education, student retention issues and advisement services. She serves on several College of Business and Cleveland State University committees. Also, she has presented her research findings regarding academic advisement, student engagement programs and student retention issues at professional conferences on the national, regional and local level. Nelson graduated from Notre Dame College of Ohio with a Bachelor of Arts degree in Communication and Business. She received a Master’s of Education in Adult Learning and Development from Cleveland State University. Finally, Nelson is a proud spirited football fan and loves the Pittsburgh Steelers and has attended three Super Bowls to cheer on her Steelers. Jennifer Redmon is currently serving as the Coordinator for Undergraduate Programs and Student Services for the Monte Ahuja College of Business at Cleveland State University. 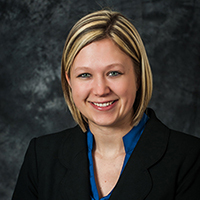 She has over nine years of professional experience in academic advising and student services. Prior to working in academic advising, she was a CSU Admissions Recruiter. In that role, she met with prospective first-year and transfer students from Cleveland and the surrounding nine-county area. She has a Master of Education in Adult Learning and Development and a Bachelor of Arts in Communication, both from CSU. In her free time, she enjoys traveling and spending time with her husband and two children, Penelope and James. Cecilia H. Render is the Executive Director of the Nordson Corporation Foundation. She has been at the Foundation since 1999 starting as the Program Officer. Prior to Nordson, Cecilia was employed in the field of education. She is actively involved in the Philanthropy Ohio Education Advisory Committee and Corporate Funders group, ReacHigher, the Lorain County P-16 council and the STEM education workgroup with the Association of Corporate Contribution Professionals. She has worked as an advisor for Cleveland Scholarship Programs and the Educational Opportunity Program at Tri-C. Cecilia has also been a part-time instructor at Cleveland State University in the School of Education. She holds a M.Ed. from CSU with a concentration in Adult Learning and Development and a B.A. in Psychology with a concentration in Child Development from Smith College. Cecilia is the 2015 Leadership Lorain County Eric Nord Award for Excellence in Leadership awardee. She has also just joined the board of Philanthropy Ohio. 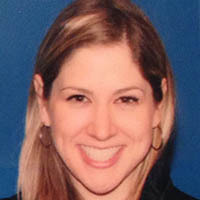 Sarah Rosenberg is an Academic Advisor at the Monte Ahuja College of Business at Cleveland State University. She is a licensed Ohio teacher who has over nine years of experience between K-12 schools and institutions of higher education. She completed her B.A. in English Literature from Seton Hill University and her M.A.Ed. from Baldwin Wallace University, and she loves working with students of all ages. 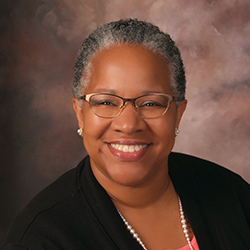 Dr. Allen earned her Bachelor and Master of Arts [English, Education respectively] degrees at Allegheny College and completed doctoral studies at Columbia University. During her extensive career affiliations with Shaker, Mentor Exempted Village, CMSD, and institutions of higher education, she has earned national, state, and local recognition for excellence in teaching and major contributions to Professional Learning Communities. These awards include the following: Teacher of the Year [Mentor Exempted Village Schools], Jennings Scholar, Fulbright Scholar, National Endowment of the Humanities Scholar, Ohio Teacher of the Year [finalist], Excellence in Teaching, Who’s Who Among American Teachers, Outstanding Educator [Faculty Nominated] Award, Outstanding Instructor [Case Western Reserve University, Upward Bound: SPPSH] and Kent State University’s Phi Delta Kappa Research in Education Award. 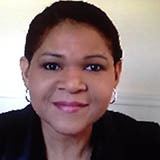 She currently serves as Chair of the Division of Professional Education at Notre Dame College of Ohio. Dr. Allen has been a member of the Distribution Advisory Committee of the Martha Holden Jennings Foundation for 12 years. Dr. Daniel J. Keenan, Jr.
Dr. Keenan became the Executive Director of the Martha Holden Jennings Foundation in Cleveland, Ohio in August of 2014, after serving as superintendent of the Westlake City Schools for seven years. His 21-year tenure in public schools included teaching and coaching in three school districts in Indiana and Ohio and serving as an administrator in three NE Ohio school districts. In 2012, Dr. Keenan was the recipient of Cleveland State University’s Distinguished Alumni Award for his contributions to public education and in 2014 he was honored by the Buckeye Association of School Administrators as Ohio’s School Superintendent of the Year. Michele is the president of Junior Achievement of Mahoning Valley, serving Mahoning, Trumbull, Ashtabula and Columbiana counties. 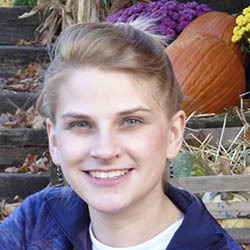 Prior to her presidency Michele served ten years as Senior Program Manager. During Michele’s eighteen years with Junior Achievement of Mahoning Valley, JA has expanded its program offerings from one after-school company program to 20 in- school and after- school programs. During the 2015-2016 school year Junior Achievement partnered with 500 educators in 75 schools educating and inspiring over 10,000 young people in the Mahoning Valley to succeed in a global economy. Under her leadership as president, the organization has received the highest national recognition by Junior Achievement USA for financial solvency, program impact, program quality and overall managerial effectiveness. Michele has maintained active roles on many boards and committees in our community. She has served as President of the Youngstown Kiwanis Club, Treasurer for the Junior League of Youngstown and is currently serving on the boards of Youngstown State University Non Profit Leadership Council and the Mahoning County Financial Stability Partnership. November of 2006 Michele was honored at the “40 under 40” as one of the top five young professionals of the Mahoning Valley and a 2007 Athena Nominee. Michele resides in Warren, Ohio with her husband Chief Eric Merkel, Warren City Police Department and her two children Erica, age 14 and Ian, age 12.